In May 2009, a version 2 arrived that was designed by Željko Prša. It was a big step forward. We abandoned black background, introduced logo update and set the colours for visual identity that are in use for good. With over 20.000 monthly sessions at that time, the website started to get some notable traction. Majority of visitors were coming from US and Europe. 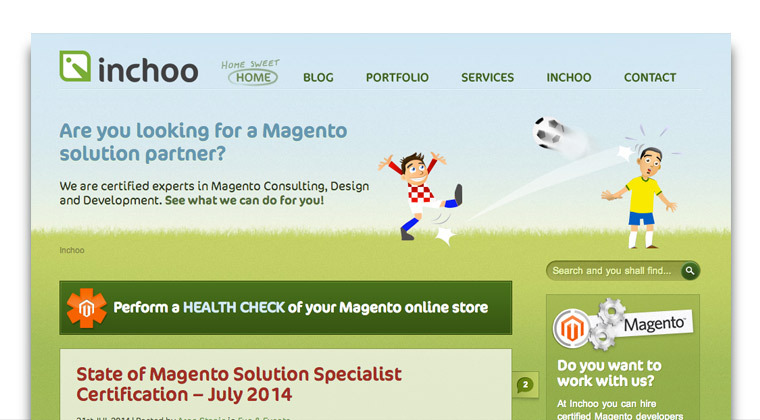 Magento was just picking up in other areas. Many people still remember “Get a quote” contact form that was persistent in the footer. At the beginning of 2011, when World Men’s Handball Championship started in Sweden, we launched a new website, version 3. The goal of this design was to provide unique, personal, friendly website mood maintaining the high quality of the content. The site was a big success. Everyone loved it. Special thanks go to Lyssandro Reis, who was a designer and Hrvoje Jurisic who was an artists who brought life to the character illustrations. Starting with 75.000 sessions / month, the audience was getting bigger each month in 2011. Growth of our business was almost aligned with the growth of traffic. I can’t believe that over 3.5 years passed since the last redesign. It is an eternity in website age. Last year we introduced visual identity redesign. At that post, in September 2013, we announced that we started a work on our new website. It did take long. With over 200.000 current monthly sessions, it was time for refreshment. Design trends changed in the last 3 years and the spectre of devices you are using to get here moved us to create a responsive strategy. 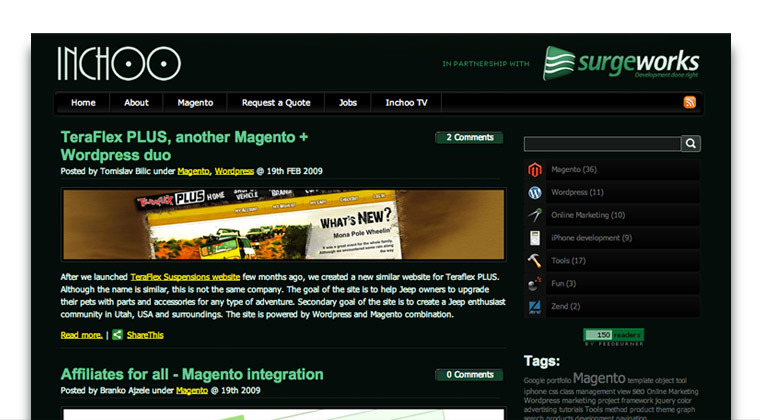 Besides, how can we offer RWD service if our site will not apply such strategy? I would like to use this opportunity to thank Rafael and Renato from Startae, Brasil who were in charge for the design strategy. Besides them, big thanks goes to Maja, Ivan, Vanja D, Vanja B, Dino, Marko, Aron, Vice, Hrvoje and all the others who contributed to bring the life to this site. I know some of us will miss the old design, but we see this one as a step forward in transformation of the company to a full service agency. I hope you will like it. I read this blog since long time. 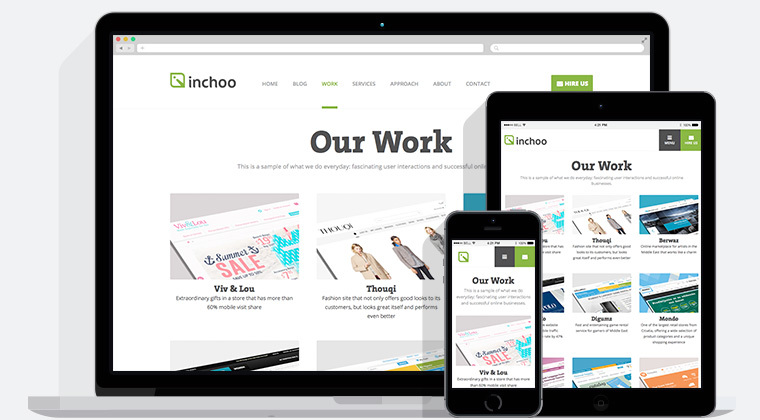 This “Inchoo” version looks wonderful.